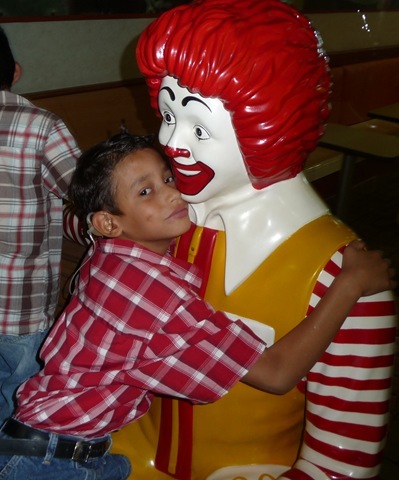 My heart goes out to this nine-year-old boy who is very capable, but also an orphan. 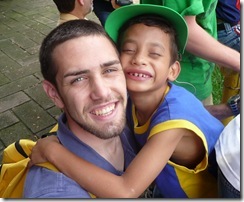 I often think of what he could do if he wasn’t limited by his circumstances at the babies’ home in Guatemala. What would happen if he had a mom and dad to encourage his curiosity and help focus his many talents? Maybe he’d grow up and become a computer guru or a mechanic. On the other hand, I also realize he’s better off now than he was before he was placed in Buckner’s care. At least now he is able to go to a special school for deaf children where he is able to learn to communicate and “speak” to those around him, and he is cared for by people who love him. Before coming into Buckner’s custody, Jose worked the streets with one of his relatives as a clown, begging for money. I often see the brightly painted, crowded chicken buses in Guatemala City and think of Jose squeezing his way onto the bus, making funny faces and holding out a hand for spare change. I can’t imagine the interactions he’s had with people or his concept of family, but I’m sure if I could communicate these things to me, I’d be very humbled. 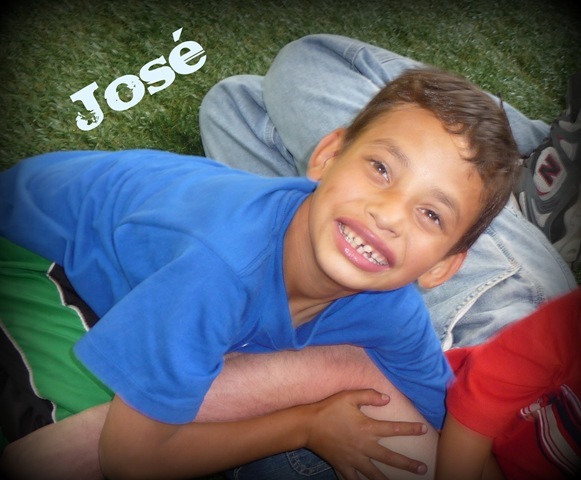 Jose is a curious and intelligent boy who tremendously enjoys superheroes and anything mechanical. In my many hours of playing with Jose, walking him around the zoo, and watching him explore at the museum, I’ve noticed that his curiosity is nearly insatiable. One of my first observations of his mechanical leanings was with a camera tripod that I had set up to take video on our third trip. I removed the camera and let Jose open all the hinges. He pulled out the telescoping legs and ratcheted up the camera stand, pausing between actions to look at me with excitement. His characteristic communication is a loud, nasal “AAH.” This means everything from “Look at me!” to “Guess what I did?” to “Isn’t it so funny that Nate has leg hair? !” It can get annoying, but I imagine it’s also very annoying to him when people talk to him and expect him to listen. 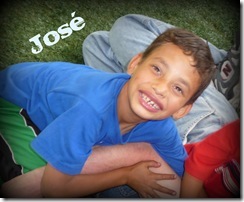 Prior to meeting Jose, I hadn’t spent much time around hearing impaired people. 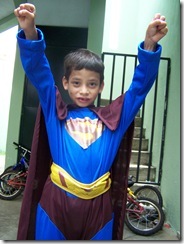 Now, after meeting this boy with so much potential, I am blown away by his fortitude and resilience. 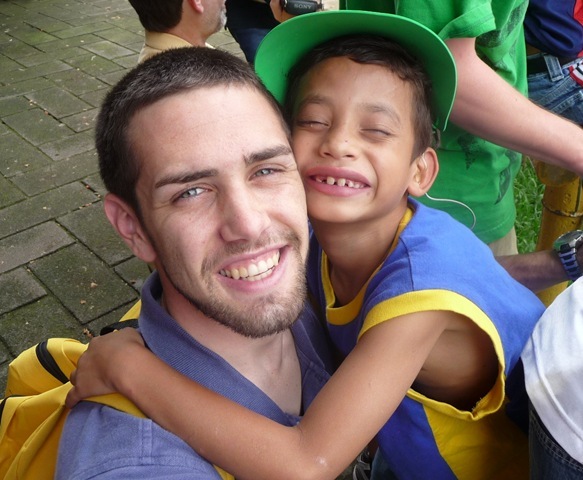 His disadvantaged circumstances have not hindered his curiosity, his desire to learn, or his love of life.